Stepping Stones at Mirfield in West Yorkshire opened in 2007, and is situated within a residential area close to local schools. 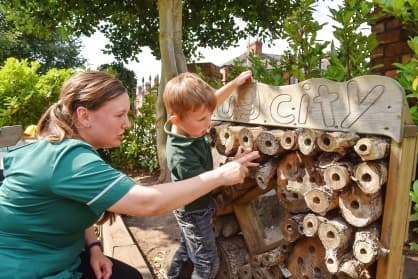 The nursery is perfectly located for local residents, parents and carers, and was awarded Good by Ofsted in 2018. 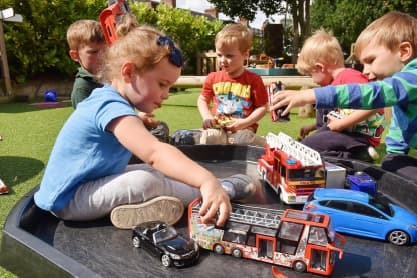 We cater for children from six weeks to five years in a warm, homely environment where our close and dedicated team can help your child progress and develop. Our large outdoor space is especially popular, with a rubber surface perfect for year-round use so the children can get as much fresh air as possible, with waterproof clothing also available for inclement weather. We always have a good mix of ages and divide our spaces into separate age groups. Our experienced team fully understands every parent’s anxieties, and builds close relationships so every child and their family feels secure and settled. Stepping Stones Mirfield has a vast area for outdoor play which is designed to support all age ranges. 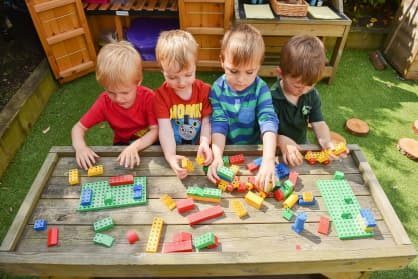 All areas support the children’s learning and development, using specific resources in line with the guidance from the Early Years Foundation Stage (EYFS). 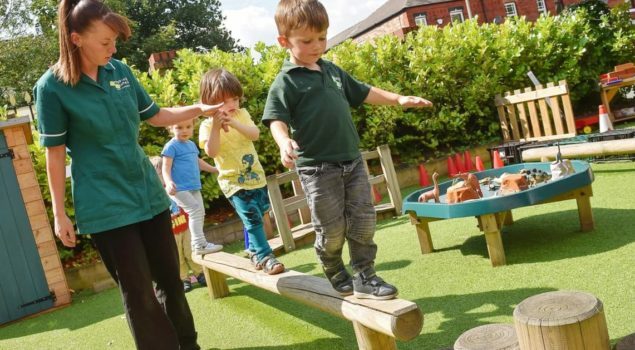 With the use of a rubber crumb surface, our outdoor facilities are available for all times of the year, enabling plenty of opportunity for all children to benefit from the wonder of outdoor play and get some fresh air. Waterproof clothing is also available for the times when the weather isn’t too friendly. Meal times are a significant part of your child’s day at nursery and we use them to teach the importance of food and where it comes from, highlighting the importance of a healthy lifestyle. Toddlers and pre-school children self-serve with help from the team. Menus are carefully balanced, and we’re proud to have gained a Gold award from the Kirklees Council for healthy choices and is rated the top rating for hygiene by Environmental Health. 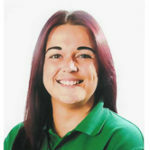 As with all Stepping Stones nurseries, safety is the utmost priority at Stepping Stones Mirfield. All parents, children & visitors access the building via one main door which is operated by the nursery manager. Only authorised persons can collect children and any changes to the usual procedure must be communicated to staff. In addition to the supervision of our highly-skilled team, we have CCTV in each of the indoor base rooms and outdoors helping to ensure that your child is kept safe at all times. We can’t thank the staff enough for the support we have received from them. He loves going and it was the best choice nursery for us we could have made.